The dreaded weight loss plateau. No matter what diet you are on, your weight loss will eventually stop. The goal is for the progress to stop as soon as we hit our ideal weight, but this often does not happen as planned. Most of us will experience a weight loss plateau at one point or another during our diet. When this happens it is not because you failed or because your body is broken — it is most likely because you need to switch up your dietary approach just a bit. By switching up your dietary approach, I don’t mean going from low carb to high carb or 100% vegan to 100% carnivorous or vice versa. In actuality, the key to busting through weight loss plateaus is making small adjustments to your current diet that will get you back on track. Before we discover the many dietary strategies that you can use to break through your plateau, let’s gain a deeper understanding of what happens when we lose weight and why many of us will not progress at the rate that we expect. There are many nuances when it comes to weight loss, but for the sake of this article, let’s keep it simple. In general, you will lose weight if you eat fewer calories than your body needs to maintain its current weight. On a ketogenic diet, your body will lose a lot of water weight in the first couple of days due to carbohydrate restriction, but fat loss depends primarily on calorie intake. Whenever we lose weight, we tend to lose both fat and muscle mass. The proportion of fat and muscle mass that you lose depends on many factors like how much you exercise, the type of exercise that you do, your stress levels, your daily protein intake, and the severity of your calorie deficit. For example, if you are lifting weights, getting plenty of sleep, aren’t chronically stressed, eating between 1 and 1.2 grams of protein per pound of fat free mass, and aiming for a weight loss rate of 0.5% – 1% per week, then almost all of your weight loss is likely to come from fat (and you may even gain some muscle mass as well). In contrast, when we don’t eat enough protein, aren’t getting enough sleep, not lifting weights, and are in a large calorie deficit (25% or more below maintenance calories), then we will tend to lose a lot more muscle mass along with the fat. Since most of you are looking to lose primarily fat and very little muscle mass, it is crucial that you consider these factors when dieting. To get the best results, it is essential that you set a reasonable calorie deficit and eat an appropriate amount of protein. We recommend using our keto calculator to find out what these values are for you. For those of you who are leaner, it is best to stay with a smaller calorie deficit (10-15% below maintenance calories), while those who are overweight or obese will be able to handle a much steeper calorie deficit (25% or more below maintenance calories). In both cases, two things may happen while you are losing weight that can cause you to plateau unexpectedly: (1) your body decreases its total daily energy expenditure, and (2) your calorie deficit decreases (because you require fewer calories to maintain your new weight). The decrease in total daily energy expenditure is the result of the many bodyweight-regulating systems we inherit to prevent excess weight loss. This happens because, from an evolutionary perspective, if you lost weight in direct relationship with your calorie consumption at all times, then you would burn excessive amounts of energy when food is scarce. Thus, to increase our resilience and longevity during times of famine, our brains will trigger a variety of mechanisms to keep us from losing more weight. As an example, your body may decrease its thyroid hormone production and reduce its non-resting energy expenditure (e.g., fidgeting and other spontaneous movements) as a direct response to rapid weight loss. Intense cravings may also be experienced in an attempt to motivate the person to eat more and stop losing weight. (this is one reason why people tend to regain weight after following a diet). Because of the decrease in thyroid hormone production, non-resting expenditure, and weight, the body will have a new maintenance calorie setpoint. What was once a 20% calorie deficit may now be a 10% calorie deficit. Put in another way: As you lose weight, your calorie deficit percentage decreases, which leads to a slowing of your weight loss rate. This process will continue until your previous calorie deficit becomes precisely the amount of calories you need to eat to maintain weight, and you stop losing weight. Although there are many other factors that can contribute to your weight loss plateau, the two factors that influence it the most are decreased daily energy expenditure and reduced calorie deficit. They are also relatively easy to address. All you need are the right strategies to tackle the many potential causes of your weight loss plateau. Let’s start with the approaches that are the most effective. Then, we will finish with the subtle hacks you can try to give you a weight loss boost. Note: These strategies are strictly for people that are hitting weight loss plateaus and need some help. If you are losing 1 to 2 pounds per week, there is no need to implement the suggestions found in this article. Most people I talk to have a misconception about ketogenic diets. They get the idea that all they have to do is count carbs to lose weight, and that’s simply not true. As I mentioned earlier, your weight loss depends on your calorie consumption. Think of it as a mathematical formula. If you are putting more calories into your body than you are burning, that gives you excess calories. 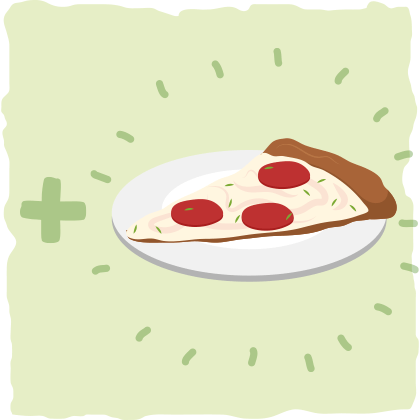 Those excess calories must go somewhere, so they are stored as glycogen and fat. 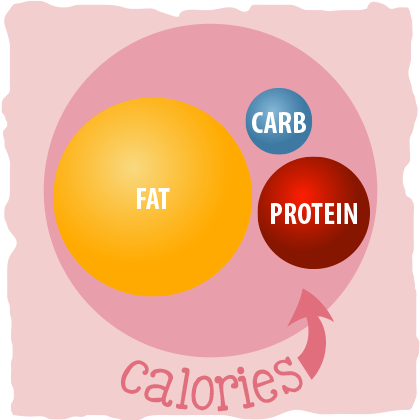 This happens regardless if they are calories from fat, protein, or carbs. The main reason why people on low carb diets tend to lose so much weight without tracking their calories is because it is much harder to overeat on protein and fat than on protein, carbs, and fat. High fat and protein foods tend to be much more satiating than carb and sugar-laden foods, so when you cut the carbs, you unknowingly end up decreasing your hunger and calories as well. However, if you find that your weight loss has plateaued and you want to lose more weight, then it’s best that you start being more diligent with your calorie intake. The key to any diet, ketogenic diet or not, is making sure that you are maintaining some sort of calorie deficit. The simplest way to figure out how much you need to eat is by plugging your information into the keto calculator. It will tell you exactly how many calories and grams of fat, protein, and carbs you need to eat on a daily basis to lose weight. To help you track your calories, I recommend using a calorie tracking app like MyFitnessPal or Cronometer. If you’d like to get started with tracking your calories to break through your plateau, then click here. This link will send you to a guide on how to set up MyFitnessPal and Cronometer for your specific macronutrient needs. 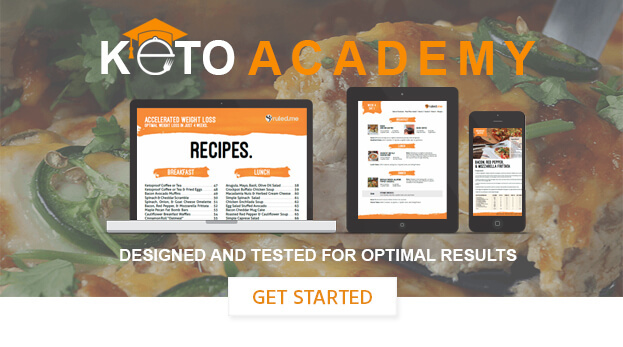 By using this guide and the keto calculator, you will be better prepared to follow the ketogenic diet more successfully than you did before. Get ready to watch those pounds fall off again. As we stated earlier, when you lose weight, your calorie deficit will get smaller. As the calorie deficit gets smaller, you will start losing weight more slowly until you plateau. Eventually, what was once a calorie deficit will become precisely the amount of calories you need to eat to maintain weight. To bust through this plateau (and prevent another plateau from happening), try calculating your macros with your new body weight every month or so. The simplest way to do so is by plugging your info into our keto calculator. Depending on how much fat you want to lose, you may need to adjust your calorie deficit as well. If you still have 50 to 100 pounds that you want to burn off, then you may be able to handle a 20-30% calorie deficit without losing much muscle mass (especially if you eat the right amount of protein). With this method, you are likely to drop fat rapidly. After another month or so of dieting this way, it is best to recalculate your macros with your new weight again. Each time you recalculate, try reducing your calorie deficit a bit so the diet is easier to stick with and your metabolic rate doesn’t slow down too much. However, if the calorie deficit isn’t manageable for you in any way, then try taking intermittent diet breaks (which is the next strategy in this article). For those of you who are leaner and don’t have much more weight to lose, it is best to aim for a calorie deficit of 10-15%. This should allow you to lose weight at a healthy and steady pace of 0.5–1.0% of body weight per week. Problems may arise when using this method of maintaining a constant calorie deficit, however. Earlier we briefly went over how your brain is continuously monitoring your weight and eliciting processes to keep you from losing weight rapidly so you can survive times of famine. By continually exposing your body to a calorie deficit, you may cause these bodyweight defending processes to kick in at full force, which can slow your progress. If this happens to you and you find that you aren’t losing weight even though you are in a calorie deficit, you may need to take a diet break. Sometimes maintaining a constant calorie deficit is not enough to consistently lose weight. Many of us will eventually experience a decrease in total energy expenditure that isn’t entirely explained by the fact that you lost weight. Your metabolism may slow down, you may have less motivation to be active throughout the day, and you may even experience increased hunger and cravings. If this sounds like you, then you may benefit from taking a diet break. A recent research study that was published in the International Journal of Obesity contains some fascinating data which suggests that diet breaks may be more effective for weight loss than maintaining a consistent calorie deficit. What do I mean by a “diet break”? Let’s look deeper into this potentially paradigm-shifting study to find out. In this study, the researchers randomized 51 men with obesity into two groups. One group was in a continuous calorie deficit for 16 weeks, while the other group underwent what the researchers called “intermittent energy restriction” for 30 weeks. The intermittent energy restriction group completed eight 2-week blocks of energy restriction alternated with seven 2-week blocks of energy balance. With this design, both groups experienced 16 weeks of energy restriction in total. Each subject was prescribed a 33% calorie deficit, which is pretty severe, but manageable for obese individuals. Both groups lost weight, as expected, but the intermittent energy restriction group lost significantly more weight. Arguably, the most fascinating finding was that the intermittent energy restriction group lost more fat than the continuous energy restriction group while the loss of fat-free mass remained similar between groups. The researchers suspect that the substantially better weight loss results experienced by the intermittent energy restriction group were caused by a reduction in compensatory metabolic responses. In other words, by taking intermittent diet breaks, you may be able to keep your body from decreasing its resting energy expenditure and experience more sustainable and consistent weight loss. Keep in mind, however, that these results only apply to a select group of obese men. Whether or not this approach will work for women and other groups of men has still yet to be discovered. With that being said, this approach to dieting and breaking through weight loss plateaus is safe, so it is worth a try — even if you aren’t an obese man. In fact, this approach to dieting may even be safer and healthier for us than maintaining a continuous energy deficit. However, this doesn’t mean that everyone should try taking diet breaks. If you are in a smaller calorie deficit (10-15% or less), then maintaining that continuous calorie deficit might be your best option because metabolic adaptations only tend to occur at larger calorie deficits. On the other hand, if you are looking to maintain a more substantial calorie deficit (25% or more), then taking intermittent diet breaks may be a good strategy to use to help you bust through a plateau and ensure consistent weight loss. According to this study, it may be best to stick with the two weeks on, 2 weeks off energy restriction protocol. This time range may be arbitrary, but the only evidence we have suggests that this is an effective approach. Weigh yourself and recalculate your macros for around a 25% calorie deficit. Eat that way for two weeks. After the first two weeks, weigh yourself and recalculate your macros to figure out what you need to eat to MAINTAIN your NEW weight. Eat these macros for two weeks. Repeat these steps until you’ve reached your ideal weight. Another strategy you can use to break through plateaus is adjusting your calorie deficit. The more severe your calorie deficit is, the more likely your metabolic rate will decrease. For example, one study found that a 25% caloric deficit can cause a 6% drop in metabolic rate. This is an insignificant drop for someone who is obese, but might be an issue for someone who is just about to reach their goal. Other studies suggest that maintenance of a ⩾10% reduction in body weight in lean or obese individuals is accompanied by a ∼20–25% decline in 24-h energy expenditure. In other words, this may decrease your calorie needs by around 300-400 calories, slowing your weight loss progress more than expected. One way to counteract this decrease in metabolic rate is by using a smaller calorie deficit. How small should it be? It depends. Studies show that as long as you’re eating at enough of a deficit that your fat stores can cover, your metabolic rate doesn’t change too much. If you do go over that deficit, though, your metabolic rate will drop in order to protect vital organs (this is a real “starvation mode” response from your body). So, how much can your fat stores actually cover? You can get about 31.4 calories per pound of fat per day, from your fat stores. At 240 lbs (162 lean mass, 78 lbs fat) you can get about 2449 calories from fat stores. At 220 lbs (162 lean mass , 58 lbs fat) you can get about 1821 calories from fat stores. At 200 lbs (162 lean mass, 38 lbs fat) you can get about 1193 calories from fat stores. At 180 lbs (162 lean mass, 18 lbs fat) you can get about 565 calories from fat stores. What these calculations show you is how your body can handle greater calorie deficits when it has more fat stores. As your fat stores decrease, so should you calorie deficit. If you are experiencing a weight loss plateau and it doesn’t seem to make sense, then you may be maintaining too severe of a calorie deficit. Try decreasing your calorie deficit for a couple of weeks and see if that helps you bust through your plateau. 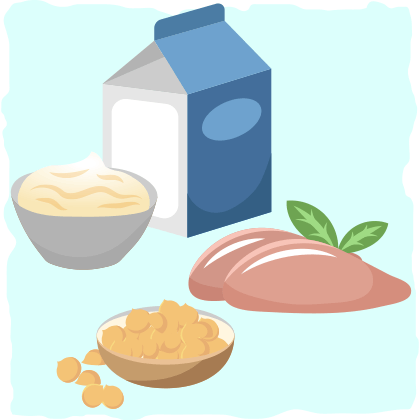 Regardless of what kind of diet you are on, eating the right amount of protein is essential. If you don’t eat enough protein, then you will lose more muscle mass, experience more hunger, and your daily energy expenditure will decrease. As a result, you will lose less weight than expected, struggle with cravings, plateau sooner, and won’t look as good as you’d like. Overeating protein, however, is also not helpful for keto dieting. This is because the excess protein will cause a decrease in ketone production and increase your reliance on sugar burning. When you eat the right amount of protein, you will be able to maintain lean muscle mass as you lose fat while simultaneously increasing your fat burning capacity and ketone levels. You may also be able to break through your plateau and keep future weight loss plateaus at bay. With that being said, what exactly is the “right” amount of protein that you should eat every day? If you exercise, protein levels should be hovering around 0.8g – 1.0g protein per pound of lean body mass a day. This helps with muscle mass retention and growth. If you lift weights and want to gain muscle mass, then increase your protein intake to around 1.0g – 1.2g of protein per pound of lean body mass per day. If you are not exercising, your protein intake should not be as high. Eating around 0.6g – 0.8g of protein per pound of lean body mass is going to be fine. To see the complete picture of what this means for you and your ketogenic diet, simply plug your information into our keto calculator. It will calculate your protein needs, as well as your fat, calorie, and carb needs, for you. Being consistent with the ketogenic diet is extremely important. Being as it can take a few days to a week for your body to enter ketosis, a cheat day can take a long time to recover from. By the time your body is back in ketosis, a week may have passed – and that’s a week of no fat burning. This is also where the dreaded water weight will come back on. If you are weighing yourself on a weekly basis, you may see a 4-6 pound gain of water weight if you did a cheat day a couple of days ago. What may seem like a weight loss plateau is really just a water weight delay as your body tries to adapt to carb restriction again. 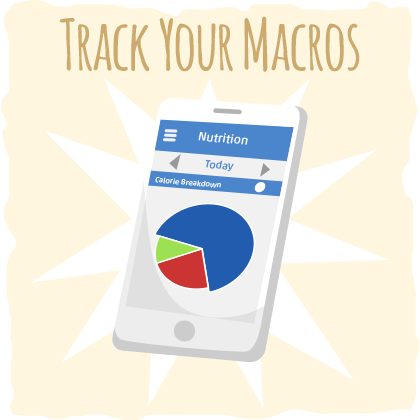 Tracking your daily macros is a great way to keep consistent. It adds a layer of strictness into your diet, making it easier over time to realize where the mistakes are. We prefer to use apps like MyFitnessPal and Cronometer, and wrote an article to help you get it set up. If you’re not tracking your carbs, it can be very easy to let those hidden carbs and calories creep up on you. This can eventually knock you out of ketosis and impair your weight loss results. 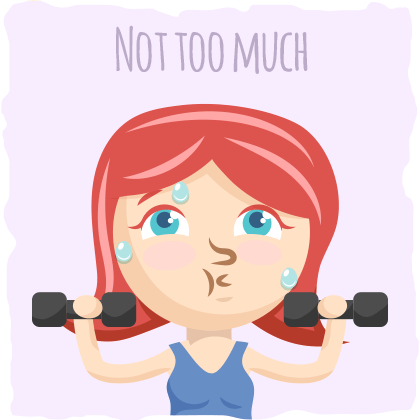 By exercising too little or too much, you can slow your metabolism down. Studies show that if you do aerobic exercise for more than 1 hour a day, your metabolic rate can drop by as much as 15%. On the other hand, by exercising too little, you can increase muscle atrophy and decrease in metabolic rate, which both will both increase your likelihood of having a weight loss plateau. If you exercise a lot, try cutting it back some and give yourself some extra rest days. My personal advice is four days maximum of hard training during the week. Conversely, if you are sedentary for most of the day, consider going for a 30 min daily walk or doing some form of activity that you love every day. Snacking when you’re hungry is so satisfying, but it can also become a sneaky way to slow weight loss. Instead of snacking, try restricting yourself to eat on a regular schedule, with no meals in between (regardless of how small the meal is). If you want to take it one step further, try restricting yourself to a specific eating window by skipping breakfast or dinner. This is one way of intermittent fasting that works very well for many people. Intermittent fasting will allow your body to go into its fasting state and burn more fat and ketones for fuel. Once your body adapts to intermittent fasting, you will find that you have less hunger and cravings. As a result, you will eat less often and be more satiated after meals. 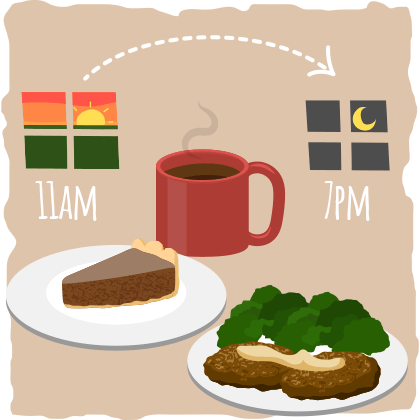 The most common intermittent fasting strategy is to eat only two or three meals in an 8-hour window instead of eating five meals a day spaced out over 10 hours. For example, my typical intermittent fasting schedule consists of eating all of my calories between 11am and 7pm. After that, I don’t allow myself to eat until the next day at 11am. Stick to this (or some variation of it), even if you feel super hungry in the beginning. The hunger will dissipate if you drink plenty of water and start moving about your day. Another great way to bust through a plateau is by applying a technique called the fat fast. You can do this by eating mostly fat and restricting calories significantly for 2-4 days. This is one of the easiest ways to put yourself into an extreme calorie deficit for rapid weight loss without experiencing lasting negative effects of severe calorie restriction. As an added bonus, it will help you increase your ketone levels as well. If you’re interested in learning more about this strategy, you can view our post on how to fat fast. 1000 – 1200 calories a day for 3 days. Eating 4-5 times a day. After the fat fast, recalculate your macros for your new weight and get back to your normal keto diet. It’s easy to eat more carbohydrates than you think while you are on keto. Carbs are in almost every food you’ll be eating — from vegetables to nuts and even certain meat products. Yes, that peanut butter you’re chomping on could also be causing a problem as well! Especially if it’s store bought – that stuff is loaded with extra sugar. Some vegetables like brussels sprouts, broccoli, and squash are common culprits that find their way into our lives on a frequent basis. You might think that they’re low carb, but when consumed in larger amounts, those carbs really do add up. You can look at the list of the best low carb vegetables we’ve put together, so that you can be more aware of the carbs in the vegetables you eat. Meat is the center of most of our lives, and there’s sugar everywhere you look. Some bacon is honey smoked, adding unnecessary carbs to an already delicious product. To avoid this madness, simply look for bacon with no sugar added. When you start to look into Italian sausages, chorizo, and canned meats, you find some unexpected carbs as well. 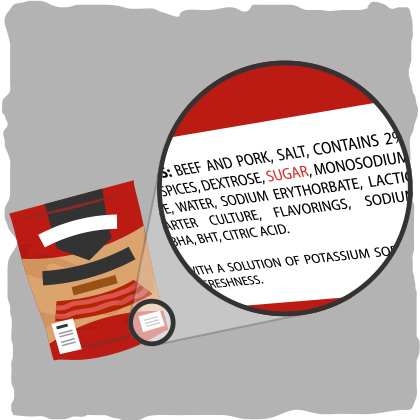 Some brands have up to 5g carbs per serving when it comes to sausage – so make sure you are being diligent. You should also check your medicine as well — seriously! Next time you think you are coming down with a cold or flu, take a look at the nutritional information on the back of that Dayquil. 2 tablespoons of the stuff has a whopping 19g of carbs. You should opt for the low-sugar or sugar-free varieties they now offer for diabetics. To put this plateau busting strategy more succinctly, just make sure you check the nutrition labels on everything before you buy it. You have to be leery of all the extra carbs that are hidden in the products you buy. 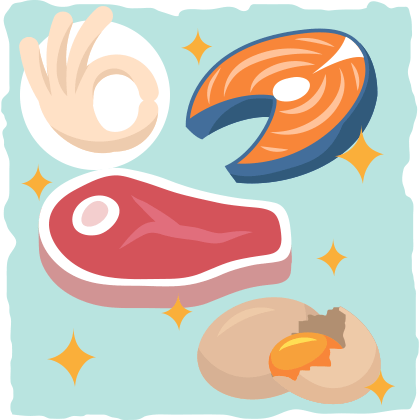 We put together a ketogenic diet food list that you can read through before you plan your next shopping trip so you can avoid most of the carb-ridden culprits. Some people find themselves following their daily macros correctly, but still seem to hit a stall. That might mean they have a sensitivity to certain types of food. From what I’ve come across, many people seem to have a sensitivity to dairy. This includes cheese – one of the staples of most keto meals. Dairy also includes cream, butter, and yogurt. If you’re having trouble losing weight and suspect that you struggle with digesting dairy, try following the recommendations in our dairy-free ketogenic diet article. Gluten is also something that many people have food sensitivities to as well. For some, low carb pasta, bread, and protein bars with gluten in them can be another sneaky way to slow their weight loss progress. Low carb processed foods can also have gluten in them. Yes, that means the lovely low-carb tortillas you’ve been eating might actually be stalling your weight loss. If this sounds like you, cutting out gluten intake from processed foods might help out. It might also have a huge impact on your health over time. What If Keto Isn’t Right for You? Although the primary focus of this article is to help you bust through that plateau and lose weight again, let’s take a few minutes to look at the bigger picture. Weight loss plateaus provide us with the perfect opportunity to pause and reflect on our diet and health as a whole. How are you feeling mentally and physically with your current dietary approach? What does your blood work look like? Are you struggling to sustain this way of eating? If all you’ve achieved is weight loss at the expense of your health and well-being, then you may need to focus on adjusting your overall diet and lifestyle instead of looking for another quick fat loss fix. Formulating a diet that is optimized for your needs is the best way to ensure that you will lose that fat and keep it off for good without losing your mind and impairing your health at the same time. An ideal diet is one that will help you improve your body composition, feel better than before, and optimize your health while also being a sustainable dietary approach for the long-term. Diets that don’t fulfill these criteria are not worth our time and energy because we will only be able to stay on them for a short period of time. The first step to creating a diet that is ideal for you is to realize that no diet is perfect for everyone. Every dietary approach has its advantages and disadvantages and must be adapted to each individual to help them meet their health needs and body composition goals as efficiently as possible. Eat the right amount of calories and protein to meet your goals. You can use our keto calculator and calorie tracking guide to help you with this. Get most of your calories from micronutrient-dense foods. For more detailed information on what to eat, check out our guide to micronutrients and our keto food list. Make sure your diet is improving your overall health and wellbeing subjectively and objectively. Implement lifestyle adjustments to make your diet into a long-term lifestyle that you can follow indefinitely. If you hit a weight loss plateau, try using one or more of the strategies you find throughout this post. In some cases, however, even a well-formulated keto diet may not be healthy or sustainable. People with certain health conditions, such as familial hypercholesterolemia or hypothyroidism, may experience a worsening of symptoms when following a high-fat, low-carb diet, regardless of how “flawless” their keto diet is. Even those who experience all of the health benefits of the keto diet may not find it to be sustainable in the long run. In this case, it may be best for them to adjust their dietary approach in a way that fits their lifestyle. This may mean following a strict keto diet every few months or implementing a different diet altogether. It boosts your mood, energy levels, and sense of well-being. It improves your body composition. 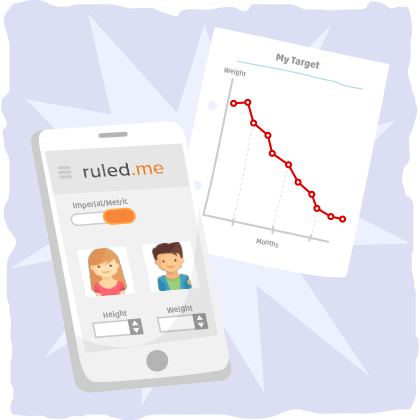 It optimizes relevant biomarkers (e.g., blood pressure, cholesterol, triglyceride, and blood sugar levels). You can sustain your new lifestyle and results for the long-term. By using these four criteria as a compass for your dietary decisions, you will be able to develop a diet and lifestyle that works best for you, regardless of your current circumstances. If you’d like to see more in-depth information on how to formulate a healthy keto diet and what you can do if keto isn’t right for you, feel free to check out our recent post that covers this topic. Hitting a plateau is frustrating and discouraging. What could you possibly be doing wrong? You are restricting carbs, eating less, exercising, and yet — you’re not getting the results you want. Calculate your macros with an appropriate calorie deficit (aim for a higher deficit if you have more body fat) and track your food intake. 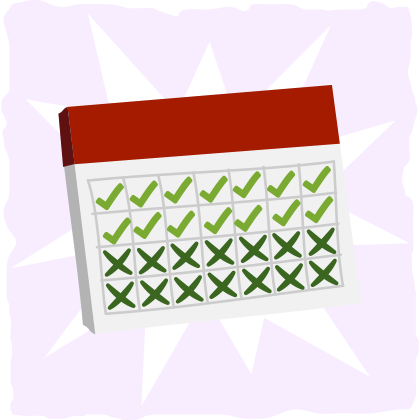 Recalculate your macronutrient needs every month with your new weight. Take breaks from being in a calorie deficit every two weeks. Stay consistent with your ketogenic diet by diligently tracking the foods you eat and never cheating. Decrease your calorie deficit a bit. Try intermittent fasting. Click here to find out how. Implement a fat fast. Find out how by clicking here. **These strategies are essential for better health and body composition, so make sure you implement them regardless if they help with weight loss or not. If these strategies aren’t helpful, then you may have a food allergy or sensitivity that is holding you back, or you may be consuming too many hidden sources of carbs and calories (in this case, you should start reading food labels more carefully and track your food consumption with a calorie tracking app). When it comes to busting through your personal weight loss plateau, stick with one or two of the strategies that apply to your specific situation. After a month, reassess your progress. Are you losing weight again? How do you look? How do you feel? If you are still at a plateau, then try another strategy from this article. If you are losing weight — good job! — keep at it. Once you are back on track, let us know what you did to break through your weight loss plateau. Your stories will help others with their struggles and provide us with new insights into how to lose weight more efficiently.